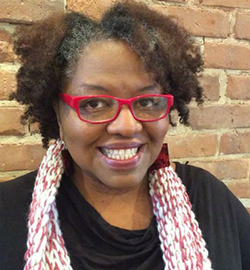 Crystal Wilkinson is a fiction writer whose 2016 novel The Birds of Opulence was the winner of the Ernest J. Gaines Award for Literary Excellence. Blackberries, Blackberries was a winner of the 2002 Chaffin Award for Appalachian Literature, and Water Street was a finalist for both the UK’s Orange Prize for Fiction and the Hurston/Wright Legacy Award. She is also the winner of the Sallie Bingham Award from the Kentucky Foundation for Women. She currently teaches in and directs the BFA in Creative Writing Program at Morehead State University. The WSU Visiting Writer Series brings noted poets and writers of fiction and nonfiction to campus for creative readings, class visits, workshops, and collaborative exchanges across intellectual and artistic disciplines. For more information about the series, please contact Kim Burwick.